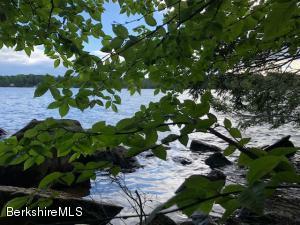 Waterfront and southwest views over a secluded pond and abutting state forest lands from this stylish four-bedroom five-bath home on its own hilltop crest. 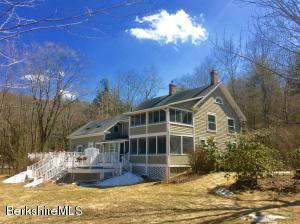 Enjoy complete privacy while being just minutes from Lee, Stockbridge, Tanglewood and Jacob's Pillow. A gracious flow and smart layout of sunny rooms on three floors starts with a welcoming rocking chair porch and features a first-floor master suite, second floor guest rooms and a another guest wing. 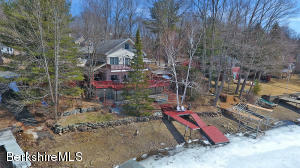 A huge lower level with a media room and an enormous family room all have views of the pond and hills beyond. 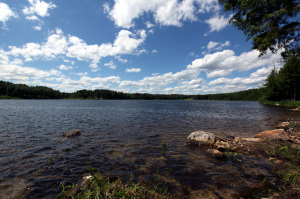 There are balconies, decks, patios, lawn and trails, all designed to enjoy the quiet expanse of Berkshire hills. Amenities include an attached two-car garage, central A/C, easy-care cedar shake siding, and a whole house generator. 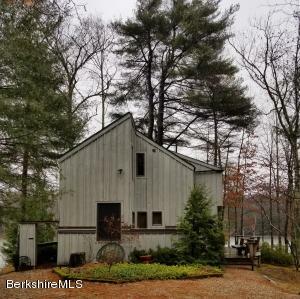 Listed by COPAKE LAKE REALTY CORP.
Berkshire Waterfront home on Lake Garfield. 3 Bedrooms+Den, 2 full Baths. Open plan Living Room, Dining Room and Kitchen. Over an acre of Land. Well cared for, and in move-in condition. New Dock, new Roof and new Paint. (Title V done, as well). Low, low Monterey Taxes. Close to SKI BUTTERNUT (8 miles! ), Tanglewood (18 miles! ), and all Berkshire attractions. 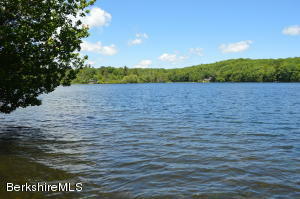 Easy access to the Taconic & Mass Pike (2.5 Hours from NYC). 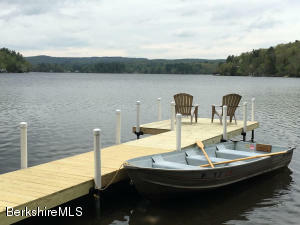 A rare opportunity to own and enjoy lakefront living... * Furniture included !!! Waterfront on Benton Pond. 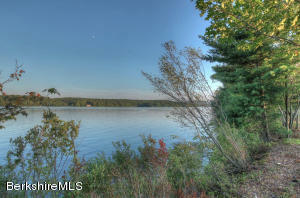 75' on the lake with sparkling views and a dock. This newer home has views from nearly every room! Large open kitchen, dining and living room with a beautiful gas fireplace, gleaming oak floors, master suite, sitting room, laundry and powder room.One car garage.Benton Pond is a beautiful spring fed lake with few motorized boats, mostly sunfish, kayaks and rowboats. 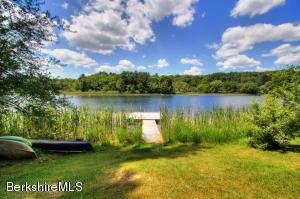 Great swimming and fishing!Most furnishings available for discussion. Renovated 1850 4BR former Farmhouse and 1995 picturesque garage barn in a lovely setting, with a right-of-way to Lake Garfield waterfront. Mature perennial gardens, specimen plantings, stonewalls, and a private hot tub area set into extensive decking surround the house and overlook the back lawn, where a path leads to a sitting area by a stream. The original attached barn has been renovated into a family room with a master bedroom on the second floor. The main part of the house has a generous living room with a wood-burning fireplace and screened porch, kitchen with granite counters and stainless appliances, and a charming dining room with built-ins and a bay window. Three guest bedrooms and a sleeping screened porch are on the second floor, and a new room with storage on the third FL.